The Right Whale Research team has been getting a lot of positive feedback about this news story so we wanted to make sure our blog readers knew about these findings. Below, you'll find the original Aquarium press release. You'll also find several links to news stories about these findings. 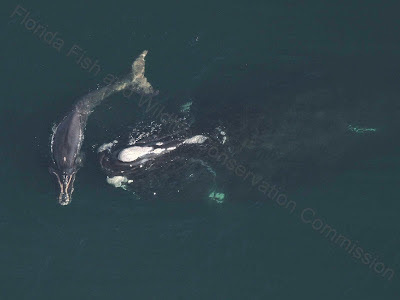 Feel free to leave your comments for us on this page and we hope you will support our work by sponsoring a right whale. In a research paper just published in Proceedings of Royal Society B in London, whale researchers in a team led by the New England Aquarium discovered that large whales like people can show signs of increased chronic stress when exposed to elevated noise levels over prolonged periods of time. The findings were the result of an unplanned experiment in the aftermath of the 9/11 tragedy. At that time, whale researchers in Canada’s Bay of Fundy were routinely collecting feces from North Atlantic right whales to measure various stress hormones found in that excrement. In the immediate hours and days after 9/11, commercial transportation around the world was deliberately brought to a standstill to assess needed security measures. 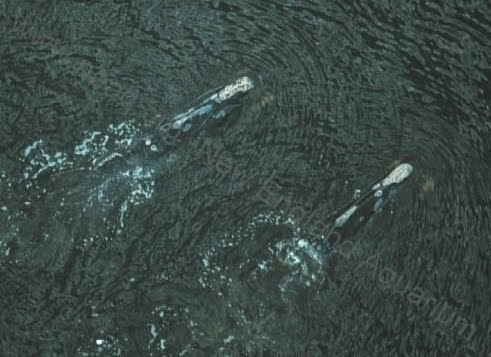 That included stopping shipping traffic into the Bay of Fundy which is both the principal summer feeding waters for right whales and also the home to the busy port of St. John, New Brunswick. That stand down of ship traffic resulted in a significant decrease in underwater noise and unintended experiment. 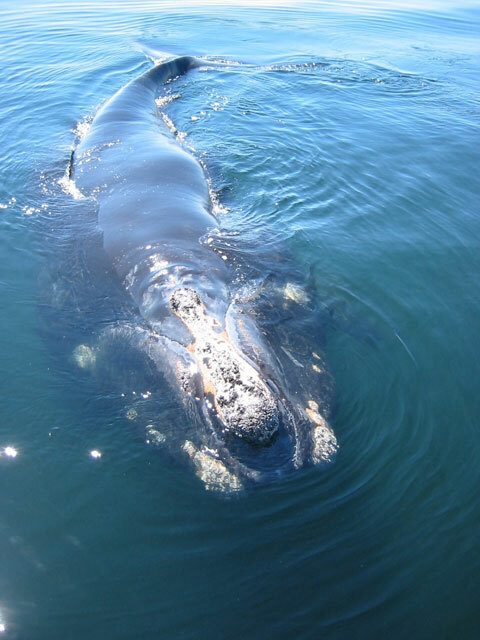 Baleen whales communicate using low-frequency acoustic signals. 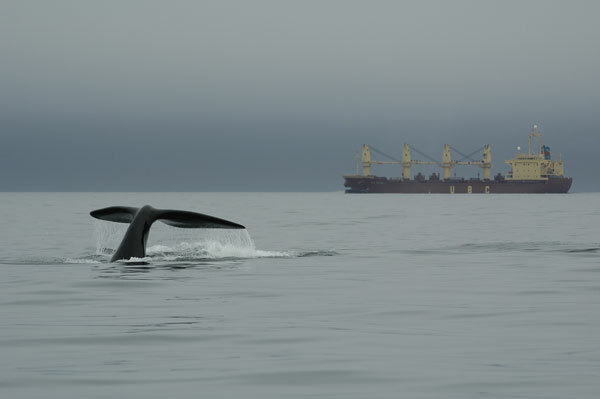 Underwater noise from large ships overlaps communication sounds used by whales, and these noise levels have significantly increased, leading to concerns about effects on whales. This study shows that reduced ship traffic in the Bay of Fundy after September 11, 2001, resulted in a significant decrease in underwater noise. 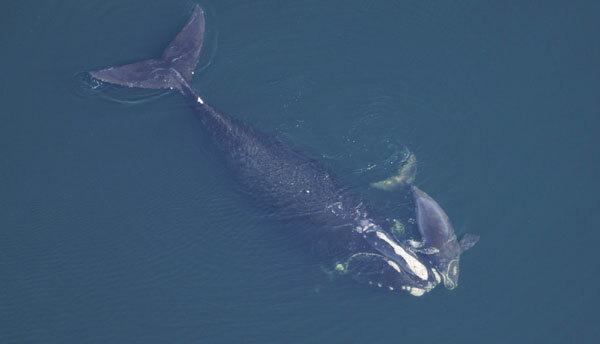 Reduced noise was associated with decreased levels of faecal stress hormones in right whales. This is the first evidence that exposure to ship noise is associated with chronic stress in whales, and has implications for baleen whales in heavy ship traffic areas. This important research has drawn international media attention. Follow the links to read additional coverage of the study in the UK's BBC, The Telegraph, Daily Mail, The Guardian, and the Associated Press and MSNBC.